Module Two: Learning about Africa continues your introduction to Africa on two fronts: first, through a further exploration and clarification of your current knowledge of Africa; and second, through establishing what you would like to learn about Africa. 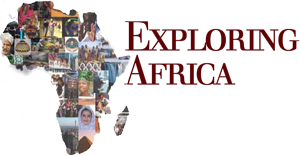 The module is intended to move from a brief writing exercise and discussion to the module’s main activity: a discussion that is meant to help you accumulate and order your current knowledge on Africa. A short discussion at the end of the lesson should again direct you to the many reasons it is important to study Africa. Two simple homework assignments are suggested to keep you thinking about the material until lesson two.